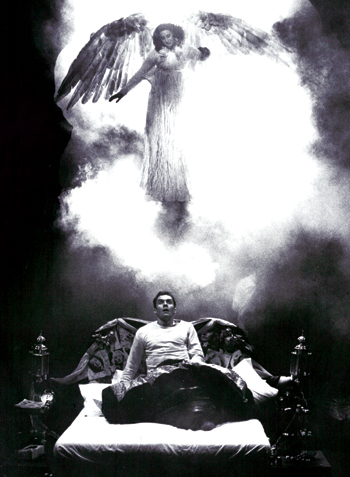 More than a generation has passed since London first witnessed Angels in America. These plays have now returned to the National Theatre, where they were produced in 1992/1993 to enormous critical acclaim and sustained public enthusiasm. 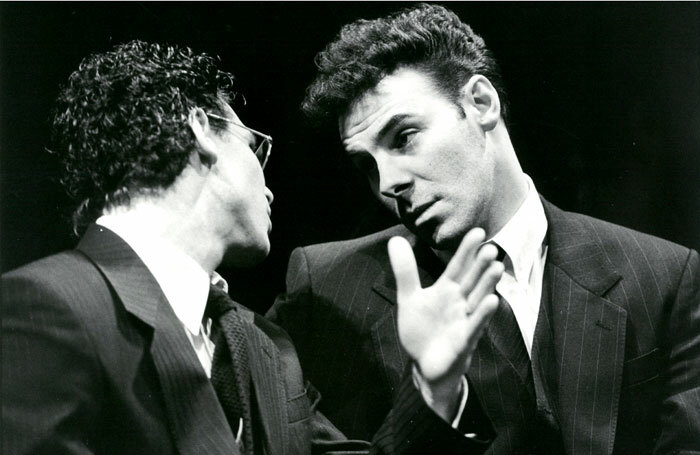 Audiences responded warmly to the scale of playwright Tony Kushner’s bold aspirations. In an essay for the New York Times in November 1993, now reproduced in a new edition of the plays published by Nick Hern Books, Kushner revealed his awareness of the risks he was running. Kushner’s embrace is certainly wide, encompassing major themes evident in US society during the Reagan years when Aids had just announced its malign presence. Yet Declan Donellan, who directed both original productions at the National, puts forward an intriguing corrective to the received ideas about these plays. “Angels in America is not a play about being gay, nor about having HIV, nor about politics, nor philosophy, nor history, nor memory, nor is it about the pain of living, the need for redemption, nor the need for some sense of soul,” he says. If the play is none of these things, what is it about? Even when reading the play, one feels seized by the lapels: Angels in America demands to be heard. Kushner achieves this effect by introducing the unprincipled, amoral figure of Roy Cohn, once henchman to the commie-hunting Senator McCarthy, now a closeted gay man dying of Aids who has lost none of his venom. Yet he has the horrible charisma of Richard III or Hannibal Lecter – a meaty role, with or without fava beans, for actor Henry Goodman. Given the harrowing and unsparing nature of the subject matter and its treatment in the play, it’s no surprise that Goodman recalls feelings of exposure among the actors. At first glance, it may seem contradictory that a play steeped in a particular time and place, should have enjoyed such international acclaim, with productions stretching from Adelaide to Zurich. The play has also been royally feted on home territory: it was nominated alongside works by Eugene O’Neill, Arthur Miller and Edward Albee in a list of the top five Tony drama awards of all time in 2003. When the National revived Millennium Approaches and produced Perestroika towards the end of 1993, a wholly new cast was assembled to play the two parts of Angels in America in repertoire. Among the company were Clare Holman and Daniel Craig. “I have very good memories of playing the wife of the future James Bond,” Holman says. “And I loved playing Harper, the Mormon wife on Valium. Was Holman not daunted by the scale of this latter-day epic? It is impossible not to see contemporary resonances in these plays and Donellan argues forcefully that these themes are once again vital ingredients of national and international conversations. “We have been given imaginations to see reality clearly. We have first to see what is and not blind ourselves by seeing what ought to be. To many of us, the millennium darkens by the day. Angels in America runs at the Lyttelton, National Theatre, until August 19. The production will also be broadcast to cinemas by NT Live from July 20.